Pizza Hut has introduced a new way for customers to order food digitally – through a button on the tongue of a shoe. Yes, really. The basketball shoes, dubbed the ‘Pizza Hut Pie Tops’, are equipped with Bluetooth communication via a smart button inside the shoe’s tongue. Through this button, the user is connected to the Pie Tops app on their phone and can submit an order. 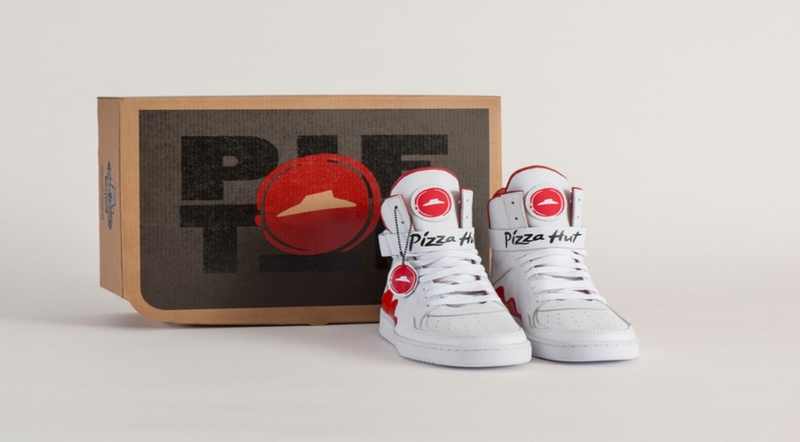 The shoes are part of Pizza Hut’s partnership with the NCAA, and the upcoming March Madness tournament, and are aimed at showing that ordering pizza is ‘as easy as pie’.